GARDEZ, Afghanistan ­­– Half a world away from Fort Hood, Texas, located outside of Gardez, Afghanistan, Master Sgt. 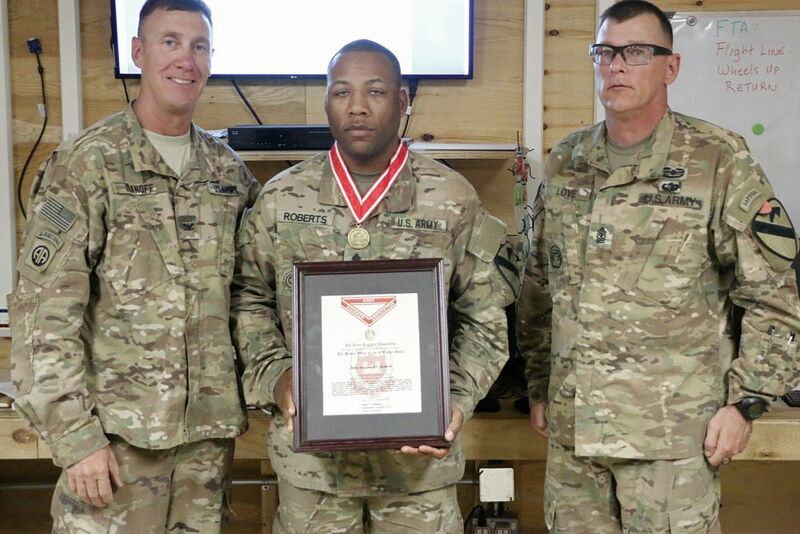 Danjumall Roberts, an engineer assigned to the Police Advisor Team of Task Force Southeast, received one of the highest awards an Engineer can receive — the Army Engineer Association’s De Fleury Medal. 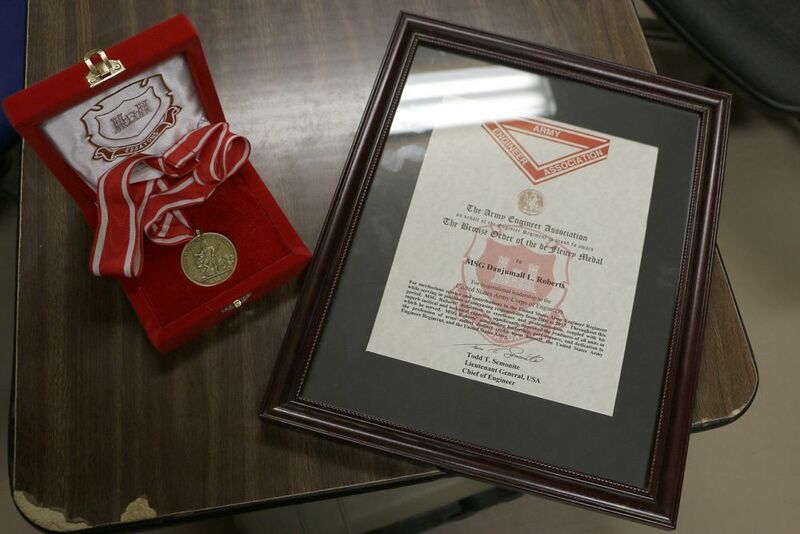 The De Fleury Medal is a symbol of leadership and devotion to the engineering career field presented to only a few Soldiers every year. This award hits close to home for Roberts as leadership is a huge focus in his life. 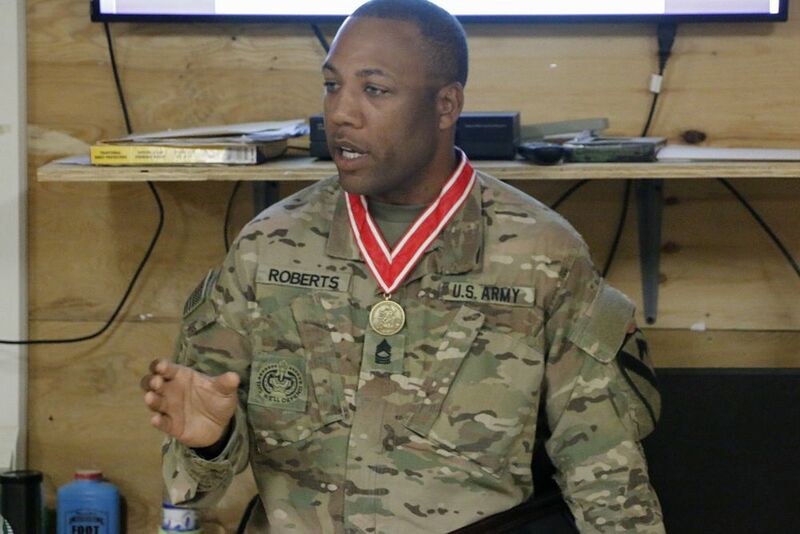 “People and leadership keep me motivated, I think that leadership is one of the most important things that you can do in life, period,” said Roberts. 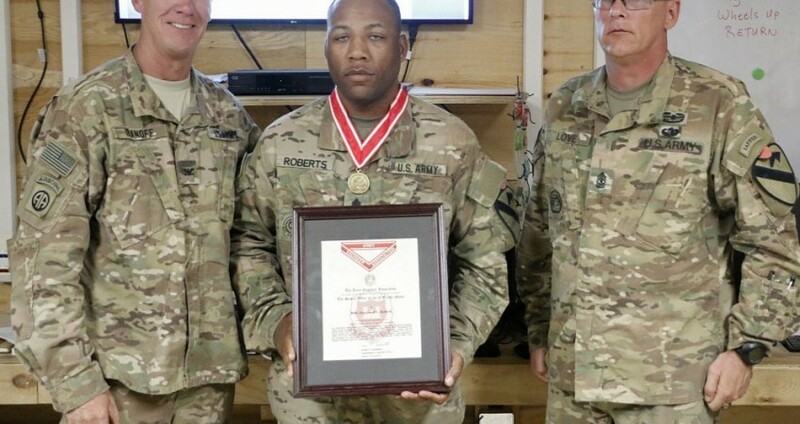 Roberts joined the U.S. Army in March of 2000, straight from the streets of St. Louis, as a bridge crewmember. 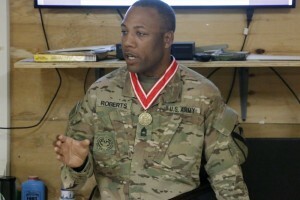 In the 17 years since joining, he has conducted four combat deployments, participated in three theatre-level exercises with numerous allied nations, trained more than 2,000 future Engineers, and served as the 1st Cavalry Division Inspector General noncommissioned officer in charge. Some of his most notable achievements are helping facilitating supply routes to Thule Air Force Base in Greenland, when it was cut off from ground supply routes due to melting glacial ice or helping in the successful construction of the longest float bridge ever erected during combat; the Birthday Bridge in Tikrit, Iraq spanning 580 meters. 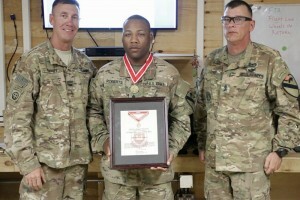 It is his personal focus on service, contributions and leadership to the Army Engineer Regiment that led him to getting this award. 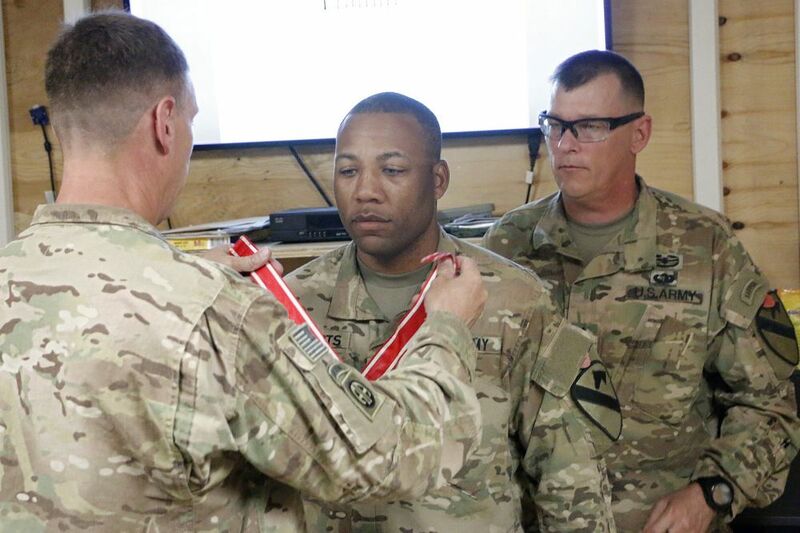 This entry was published on July 21, 2017 and was updated on March 14, 2018 / 1St Cavalry Division Association Admin. Posted in Home Pg News Features. Bookmark the permalink.